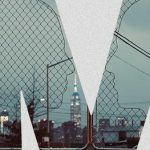 As part of an ongoing partnership with Moniker International Art Fair Kaspersky Lab have done some cool art stuff, they have commissioned Ben Eine to create an art film entitled ‘Back To Work’. It launched at the Electric Cinema, yesterday . Shot on location and in Eine’s studio,the film explores Eine’s art practice, offering insights into his creative process. 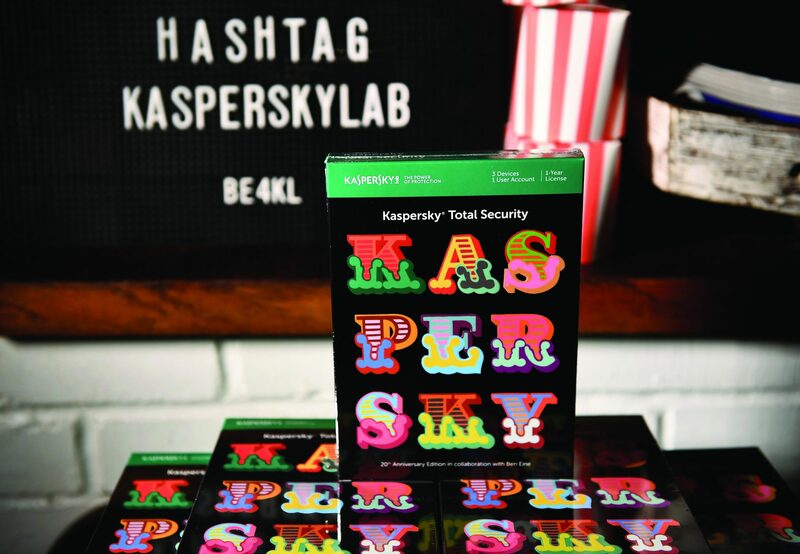 Kaspersky Lab has also partnered with Eine on the release of the 20th Anniversary edition of the internet security brand’s market-leading Kaspersky Total Security v.2018 product. 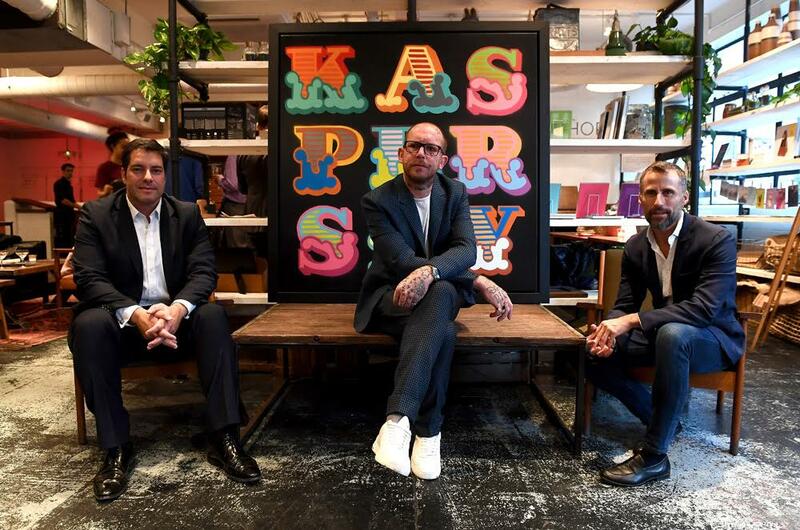 Eine’s specially commissioned artwork, including a new typographic ‘K’ produced exclusively for Kaspersky Lab and featuring the brand’s distinctive colour palette, will be presented through a large format installation was unveiled at Moniker International Art Fair. The eighth edition of the Moniker Art Fair is on now till this Sunday 8th October at the Old Truman Brewery in Shoreditch, London. Born in London, Ben Eine is one of the most successful street artists in the world and is regarded as a pioneer in the exploration of graffiti letterforms. Originally a writer, Eine started his career 25 years ago, leaving his first tag all over London before developing his distinct typographic style. Eine’s aim was to point out that street art is distinct from graffiti. He believed “street artists want to add something to the environment. They consider the audience, whereas graffiti writers don’t care about anyone except themselves, they do it purely for the kick”. Eine’s bright and colourful letters were created to stand out from the usual tags and dubs seen on the streets and can still be found in areas of East London. These letters appear on shop shutters and often spell whole words across walls. 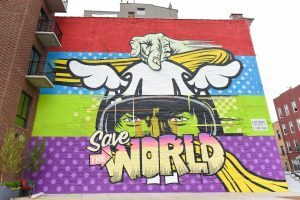 Eine first came to prominence in the “commercial” graffiti scene through his symbiotic partnership with London graffiti artist Banksy. In 2010 the UK Prime Minister David Cameron gifted his artwork to President Obama, while a particular area of the East End was named ‘Alphabet City’ after his colourful array of shop front ‘shutter art’. Currently Ben Eine’s work is held in the permanent collections of the V&A, London, The Museum of Modern Art, Los Angeles and galleries worldwide, while his street art works can be seen all over the world, most recently he completed a huge mural on the British Embassy in Abu Dhabi. This entry was posted in NEWS and tagged Ben Eine, Kaspersky Lab, Moniker. Bookmark the permalink.